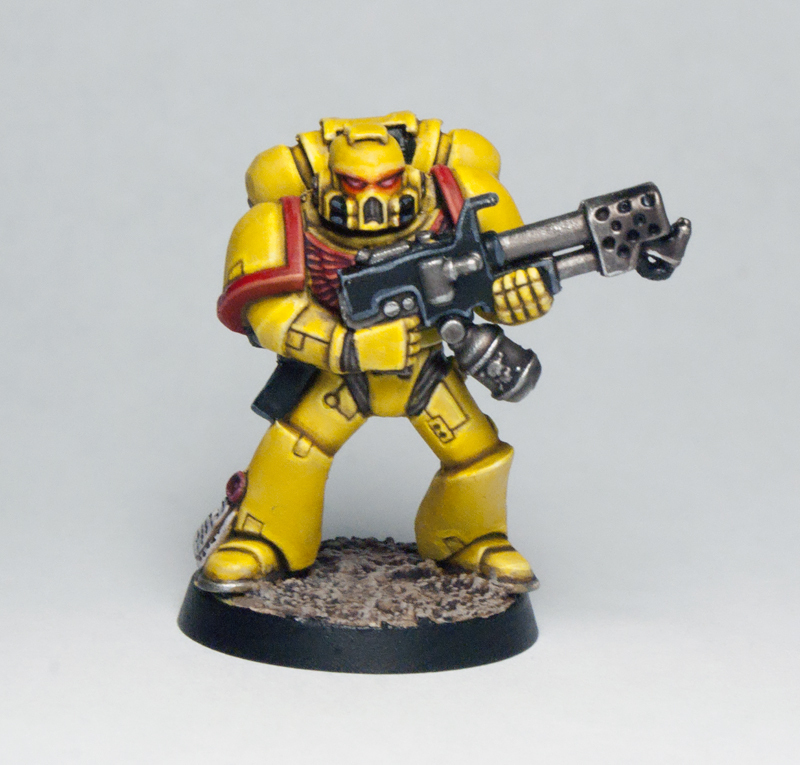 Hello everyone, today I have an article on how to keep your painting skills sharp. As someone who paints commissions from time to time this is even more important for me, since I have to paint models, colors and patterns that I don't normally work with very much on my own. By doing small painting exercises I can experiment with models and colors I would not normally use. I teach a free beginners painting class at The Dragon's Lair in Austin, Texas every other Thursday. Some days there are so many people there that I barely have enough time to help everyone, but other days there will only be 1 to 5 people. 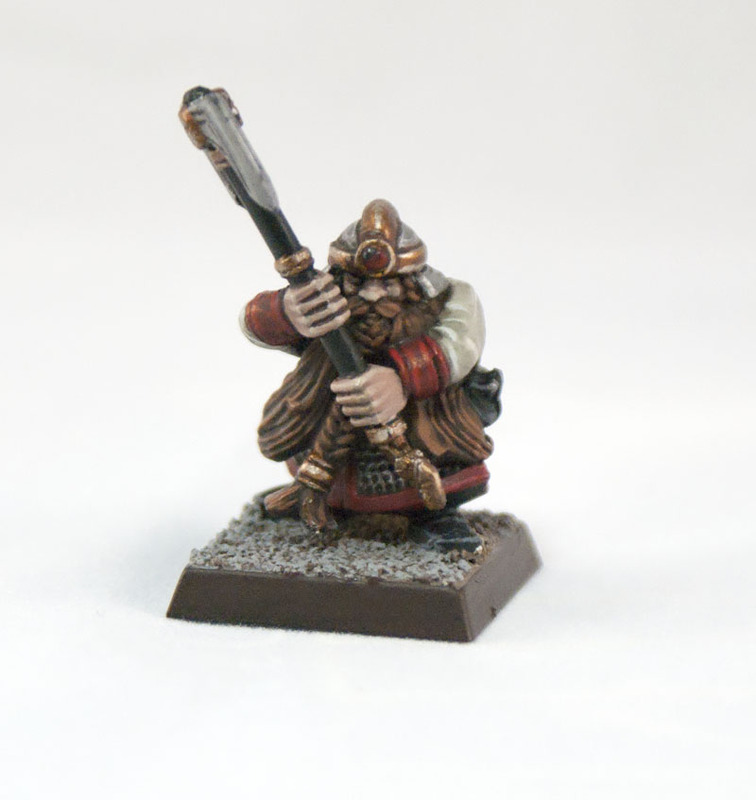 On those days I usually pick up one of the many free models available for people to paint in the class and have a go at it. This gives me several restrictions since I do not bring my own supplies, so I must use the stores paint supply for the class (which is a pretty good cross section, but by no means complete), their brushes (which vary from horrible to somewhat decent) and I only have 2 hours (since this is the length of the class, plus I am helping people a lot during those 2 hours). The Howling Banshee seen above was done last night. I didn't start on her until about 40 minutes into the class so she only got about an hour and half's worth of work. I plan on finishing her next time. 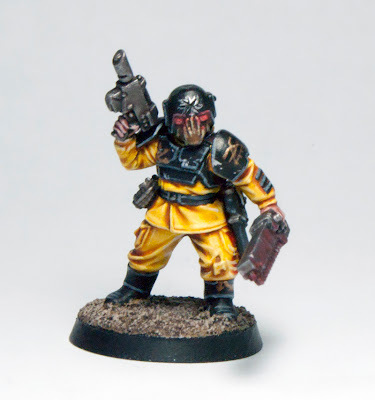 She is part of one of the student's army, which he was gracious enough to let me paint. 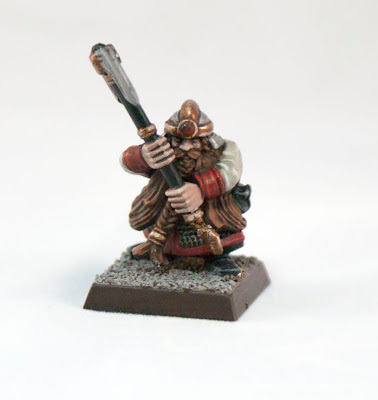 The first one I tried was a Dwarf several months ago. They didn't have the color I wanted for the sleeves (Dheneb Stone) so I had to mix a close approximation. 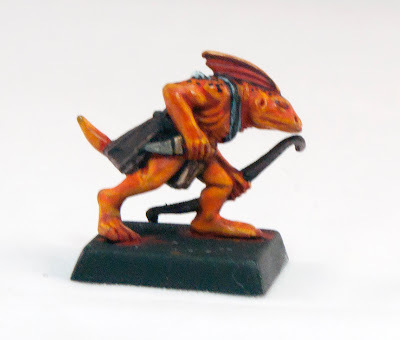 I painted this Skink below to test out a more tropical look for Lizardmen. And this Skink for a more traditional color scheme. 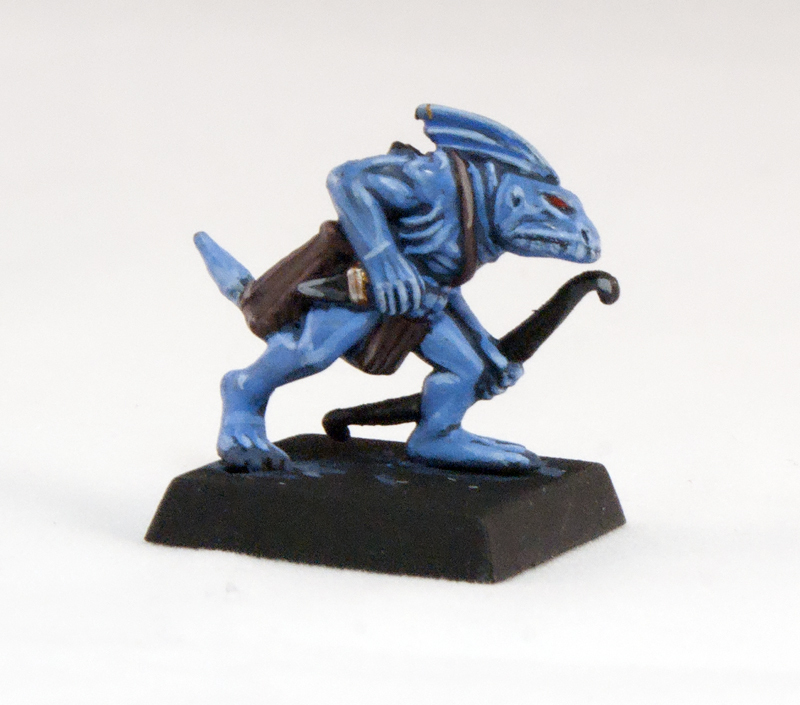 I approach all of these models with the idea of painting them in the simplest, most straight forward way possible but still achieving a decent table top standard. I paint all of my own armies to a high table top standard now, so its a little more relaxing painting these guys. I am also kind of trying to prove that I can still paint quickly and decently if I choose to. I also preform some painting exercises at home with a little more time and resources such as the Imperial Fist and Son of Sek I have posted on here before. These were more to teach myself new techniques and familiarize myself with the new paint range. 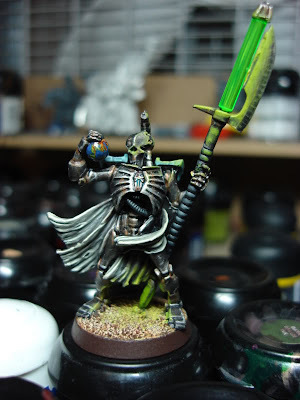 Here is a Necron from several years ago I painted up for fun and also was one of my first test in Original Source Lighting (OSL) which I then made frequent use of on all of my plasma guns. I hope this inspires you to have a go at a few painting exercises yourself. They act as a fun break from your traditional army and teach you some cool tricks along the way.